I have a lot of concerns, as well as pain to share, so if you decide to read my writing I politely ask you to bear with me. In this reply to a writing about American police authored by Medium.com contributor “Blake Dont Crack”, I suggest Blake Dont Crack, as well as untold numbers of my American neighbors are experiencing a “Fog of Emotional or Mental Illness” impeding them and American society from evolving toward becoming a healthier Nation populated by vast numbers of fairly or wonderfully happy people. via Question: When a white cop guns down a black… – Dr. Boyce Watkins – The People’s Scholar. *”Question: When a white cop guns down a black man because he was afraid he was a thug, the question is – where did this cop get this negative perception of black men? Former Brooklyn cop here, known to some as ‘The Blue-Eye Devil’, known to others as the POS who alerted Child Welfare when I observed newborns, infants, toddlers and children being raised in abusive and negligent home environments that far too often resulted with little kids maturing into depressed, angry, frustrated, unpredictable, sometimes suicidal (NY Times May 18, 2015 – Rise in Suicide by Black Children Surprises Researchers) teens and adults who lacked respect for themselves as well as empathy, compassion and respect for their peaceful neighbors. Some Brooklyn residents knew me as the bearer of horrific news when I informed them a relative (son, mom, daughter grandpa, uncle, ect.) passed away from natural causes, was killed in an accident, had been found dead from a drug overdose, or was stabbed, shot and/or murdered during the commission of a crime that far too often was perpetrated by a abused, depressed kid who matured into a depressed, hard as steel teen and adult. Other Brooklynites viewed me as an oppressor, the man who chased their light or heavily armed teen and adult friends and family members through The Streets of Brooklyn after they just emotionally terrorized and/or physically harmed (or worse) a peaceful neighbor walking to or from the corner store or work. To many young people in this Brooklyn community, including a young Shawn Jay Z Carter, I was the pr!ck who wanted to prevent him and his crew/gang/posse from peddling poison addictive drugs to their depressed neighbors regardless of their neighbor’s age, emotional or physical condition. In Shawn’s eyes I was the person who attempted to impede The Street Culture cash flow created by drug peddlers. For the most part the cash flow is fairly simple. Shawn and approximately two or three dozen crews offered poison products to a community populated by about 95,000 people, at the time most all residents were Americans of African descent. Many depressed people purchasing poison products committed property, and far too frequently violent, major life-changing crimes against their peaceful neighbors. Now that they are flush with cash often forcibly stolen from their peaceful neighbors, depressed drug abusers turn up at Shawn’s Spot, trading their ill-gotten often blood-stained money for Shawn’s life-debilitating addictive drugs. Next day, or sometimes later that day, lets do it all over again. Pretty simple cash flow and certainly provides a reason for why some Brooklyn residents, or members of Kendrick Lamar’s Compton hometown and family view me as the bad guy. As far as I am concerned, Kendrick revealed the ‘dirty little secret’ that Dr. Boyce Watkins desperately wants to conceal, hide from public view, pretend does not exist. While their family and community are teaching them anti-social ‘people and community’ harming values that often results with kids experiencing during a critical period of their childhood development a mentally debilitating condition known as Cognitive Dissonance. When I heard Kendrick perform these lyrics I wanted to jump atop the cop car, grab his shoulders and shake the Cognitive Dissonance from his body in front of his many fans and admirers. After shaking away Kendrick’s Cognitive Dissonance I’d ask him to make amends, explaining to his audience he is sorry for not speaking out sooner about who is responsible for causing him to experience torment, pain and anger since he was a little first grader just wanting him, his siblings, numerous cousins, classmates and neighborhood friends to enjoy a safe, fairly happy “Average Joe and Josie” American kid childhood with Safe Streets to travel and play on. After explaining he dearly loves his mom and dad who gave him his shot at life, Kendrick would continue his catharsis revealing he wished his mom and aunts had been more responsible before building families dependent on flawed social systems created by modern day slave masters who are dependent on modern day slaves to maintain their political power and agendas. Continuing his healing, Kendrick would do the unthinkable, tearfully apologizing to all the people he harmed, either personally or by remaining silent when he witnessed a family or community member harming his peaceful neighbors. When Kendrick is done cleansing his soul by speaking his truths about the ‘individual and community’ life harming behaviors he witnessed and ignored, and apologizing for not sooner speaking up to HELP end the madness that is responsible for him maturing into a depressed, angry teen and adult, Kendrick will no doubt earn the title of “The Chosen One”, a title of respect bestowed on an uncommon common man, a man who speaks truths regardless of how those truths are perceived and received by others, including Dr. Boyce Watkins and the people who profit from continuing the madness, people like Shawn Carter and his family. Why Is Black Lives Matter Ignoring Child Abuse Neglect? Before REAL concerns for my own emotional and physical well being caused me to abandon/flee/transfer from the Brooklyn, NY community Shawn Jay Z Carter raps about attempting to destroy with his drug peddling trade protected and enforced by the semi-automatic ‘MACK MILLIS’ he and his crew/gang/posse also used to intimidate peaceful people into NOT snitching, I spent twelve years investigating mass numbers of robberies, shootings and homicides committed against a population of mostly peaceful Brooklyn residents by a significant population of depressed, angry, frustrated, unpredictable, sometimes suicidal (NY Times May 18, 2015 – Rise in Suicide by Black Children Surprises Researchers)https://knutesniche.wordpress.com/2016/01/22/rapper-killer-mike-speaks-out-against-sexual-assault-in-the-music-industry-good/ teens and adults who as children were severely emotionally and/or physically traumatized by the less than human ^itches and ^hores unworthy of respect MATERNAL caregivers who Shawn Jay Z Carter, social activist Killer Mike Render and many of their recording artist buddies rap about in their American music artistry. I understand members & supporters of the Black Lives Matter movement are upset with police officers who do not adhere to their training, sometimes becoming overly aggressive. These officers need to be held accountable by their supervisors for their actions, as well as hold themselves personally accountable for failing to recognize the stress and anxiety they experience on a near daily basis is harming their emotional well being and judgement. Every human cop has different tolerances for dealing with stress and anxieties experienced from constantly witnessing human OPPRESSION and community mayhem or apathy on a regular basis. Me, nearly twelve years of witnessing kids being traumatized by uncaring, neglectful, abusive, immature moms told me it was time to leave what I once considered my second home before I ended up in a surgical unit or my grave, placed there by a depressed, angry, unpredictable, sometimes suicidal teen or adult ‘raised’ in a TOTALLY abusive and neglectful family type environment, and ‘nurtured’ in a manner where the teen or adult does not give a hoot about their well being or the well being of their neighbors. I’ve met far too many of my American neighbors of all ages who were colder than the Alaskan glacier Mr. Obama and Bear Grylls admired, harder than the steel and brick multi-story buildings where far too many moms abuse and neglect kids, regularly exposing them to childhood trauma. Sadly, it appears the BLM WILLFULLY fails to recognize the core reason for why some cops cross the line. I’m not excusing police misconduct or aggression, I am understanding it. Sadly, the BLM does not address THE INDISPUTABLE FACT that a substantial population of immature American teen and young adult moms of African descent irresponsibly introduce their child(ren) to a life of hardships and struggles that far too often causes an emotionally abused and tormented child to mature into a depressed, angry, frustrated teen and adult lacking empathy, compassion and respect for his or her peaceful neighbors and the authority responsible for maintaining peace in all American neighborhoods. 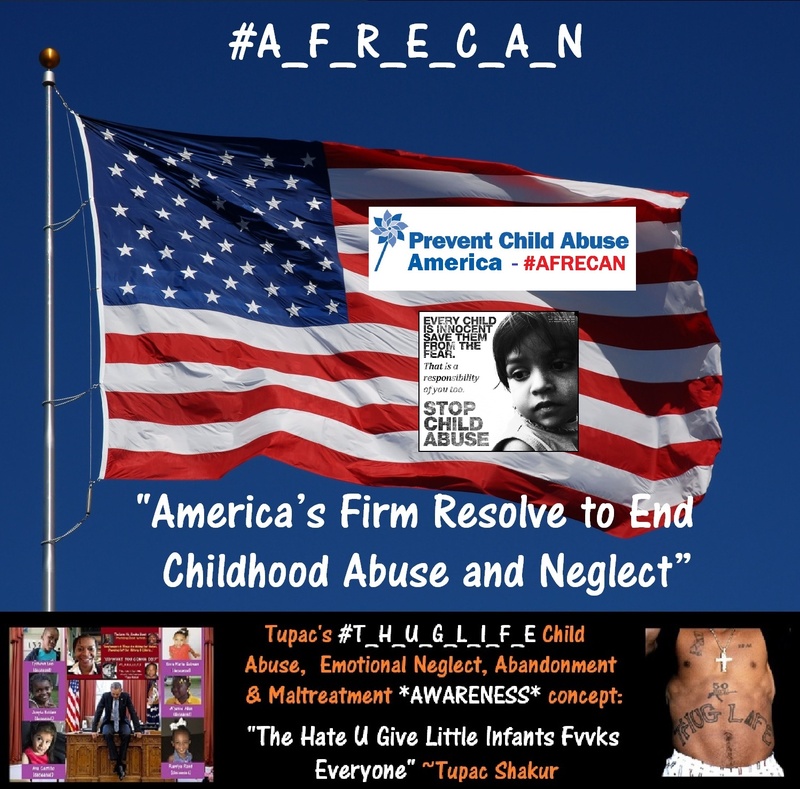 I fear that until sensible, caring people are willing to recognize the truth for why a substantial population of nationally and internationally popular American music performers of African descent for more than thirty years have been demeaning our moms, sisters, grandmas, daughters, aunts and nieces as less than human people unworthy of respect…I fear if the issue of Childhood Abuse and Neglect is not addressed peaceful people and police officers will continue experiencing fear and anxiety from witnessing innocent people terrorized by depressed teens adults who never experienced what it meant to be shown love, caring and affection by their moms. via Obama Weeps For Kendrick Lamar A Childhood Trauma Victim of Gun Violence – YouTube. Late last year Mr. Obama informed the people inhabiting our beautiful blue orb that American recording artist and Grammy winner Kendrick Lamar wrote one of his favorite musical performances of 2015. Kendrick speaks about experiencing Childhood Trauma, witnessing MASS CHILD ABUSE & MALTREATMENT, violent felon family & community members who intentionally & recklessly ignored the well being of their children, depriving these kids from enjoying a home environment where they feel safe, loved & cared for. In this one paragraph, it seems evident to me Kendrick identified the source of his depression, the roots of poverty, the child abuse/maltreatment that prevented him, his brothers, sisters, cousins, neighborhood friends, elementary and JHS classmates from enjoying a safe, fairly or wonderfully happy Average Joe or Josie American kid childhood. I cannot speak for anyone else, but if I was raised in Kendrick’s family I would most likely be silently peeved at my parents for being immature irresponsible “living wild” Violent Felon adults who deprived me of enjoying a safe, fairly happy Average Joe American kid childhood. I am curious to know if Mr. Obama believes the adult members of Kendrick Lamar’s family and community are the “VIOLENT FELONS” he wishes to protect peaceful people from? Kendrick writes and speaks in public about childhood and adult depression, as well as having suicidal thoughts. What has Mr. Obama done to protect children like young Kendrick and untold numbers of other kids who were deprived of experiencing and enjoying a safe, ‘Average Joe’ American kid childhood by CRIMINALLY NEGLIGENT parents who MALTREAT newborns, infants, toddlers, children and teens by exposing them to destructive, life threatening anti-social behaviors and criminal environments? Which values do children like Kendrick, his siblings, cousins, classmates and friends embrace, their family and neighborhood values or the peaceful values their frustrated educators attempt to instill in MALTREATED children like Kendrick and the late American recording artist Tupac Shakur? via detective assaulting handcuffed prisoner – YouTube. Watching this video and being very familiar with police interrogations as well as the handling of prisoners in police custody, I STRONGLY disagree with the jury’s finding. What I see in this video is an angry detective who most likely failed to recognize he is burnt-out by the emotional stresses of constantly dealing with victims of Child Abuse and Neglect who mature into depressed, angry, frustrated teens and adults full of resentment for being introduced to a life of pain and struggle. I believe there are no excuses for a police officer punching the face of an unarmed person or prisoner securely handcuffed to a wall. Just as there are no excuses for teen girls and women irresponsibly building families before acquiring the skills, PATIENCE and means to provide their child or children with a safe, fairly happy American kid childhood. Abused, Neglected Poorly Supervised Children who often mature into depressed, angry, sometimes suicidal (NY Times May 18, 2015 – Rise in Suicide by Black Children Surprises Researchers) teens and adults lacking empathy and compassion for their peaceful neighbors and police serving their neighborhood.